Feria y Fiestas Mayores de Estepona (Málaga) , in honor of their patron saint, the Virgen del Carmen. The city wraps music , colorful , dancing , parades and folklore shows . The fair is divided into two parts : day and night. • During the day there are numerous open bars , colorful lot on the streets where residents and visitors gather to enjoy manzanilla wine , music and dancing . 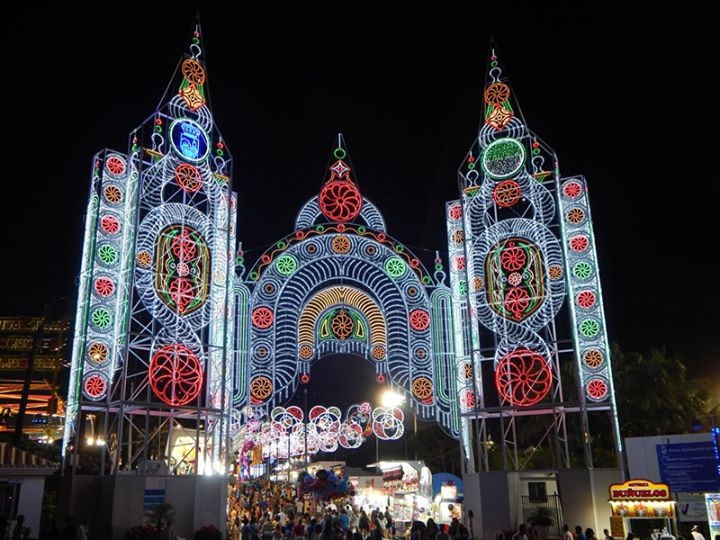 • At night , the fun moves to the fairgrounds, with many stalls and attractions for all ages .